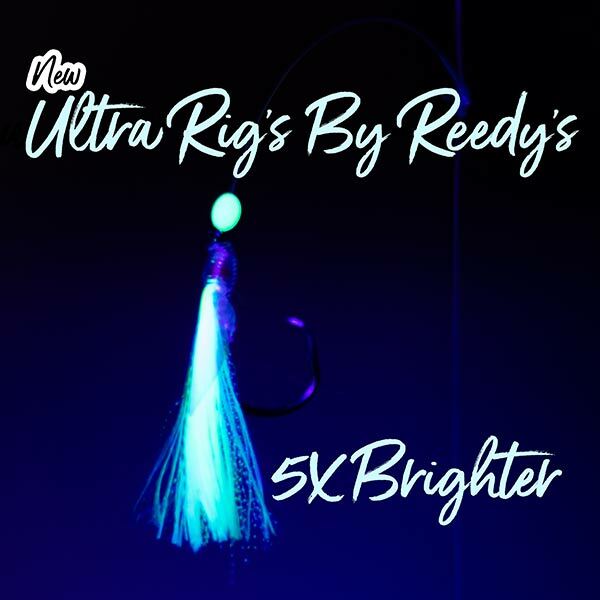 Reedy’s Ultra Rigs The Future is Here . 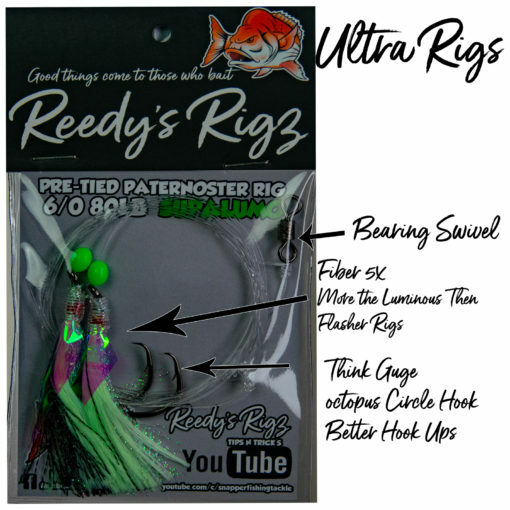 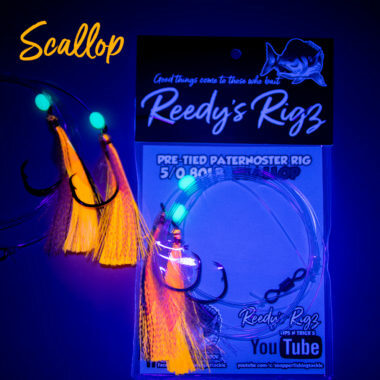 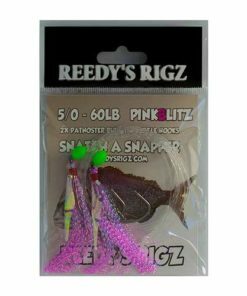 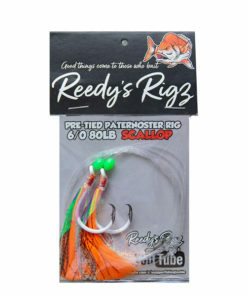 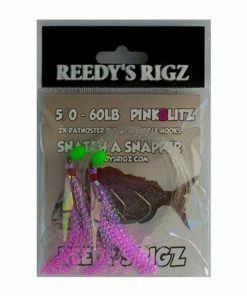 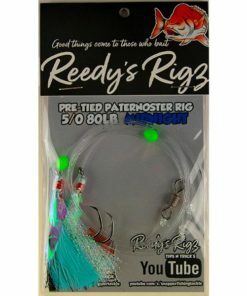 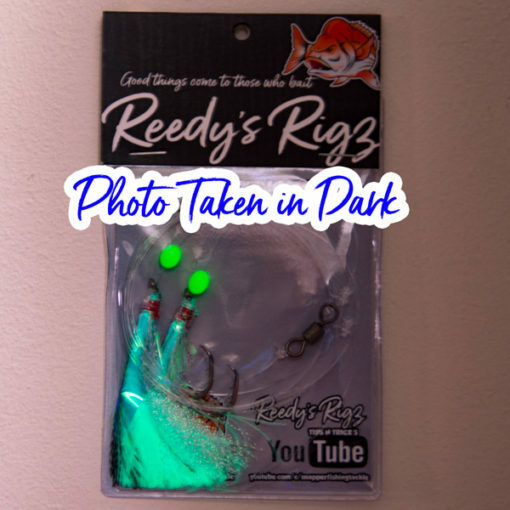 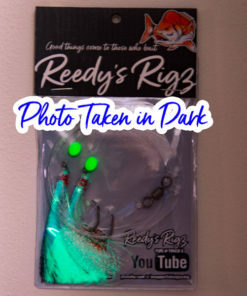 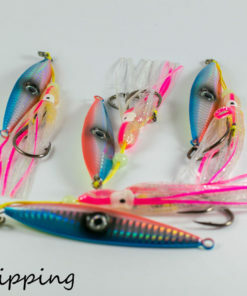 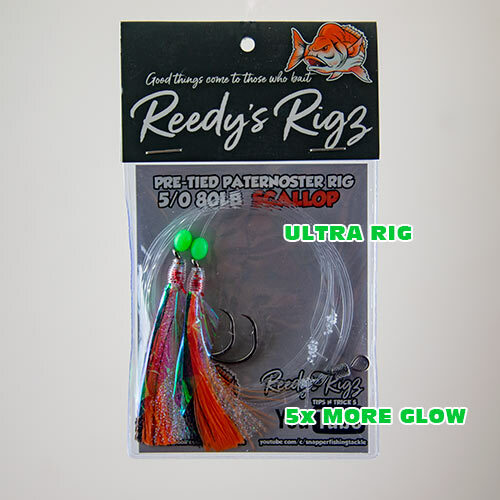 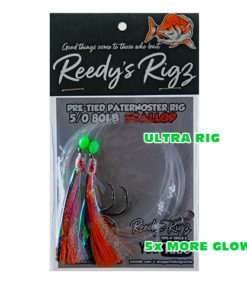 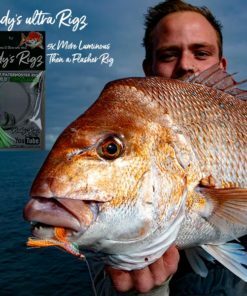 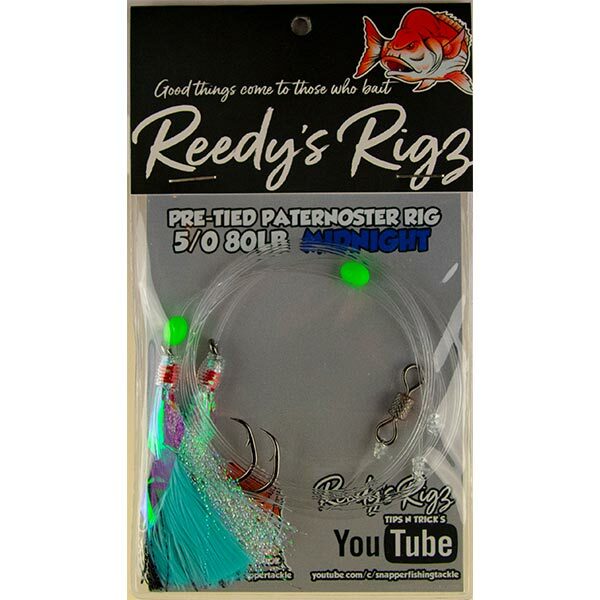 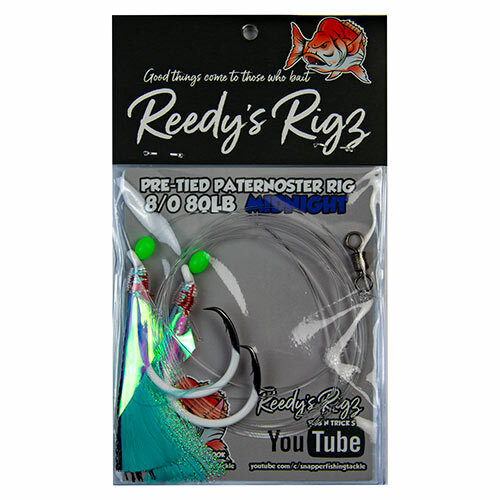 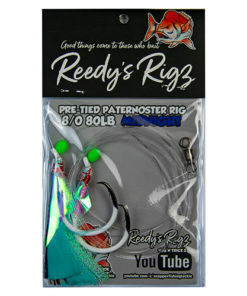 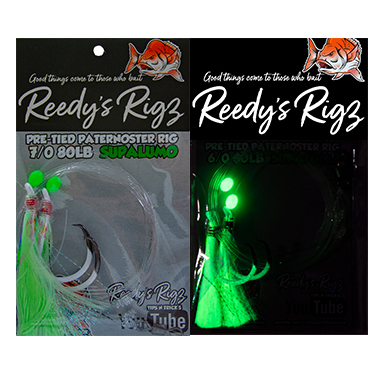 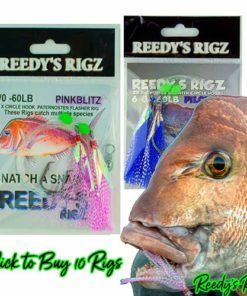 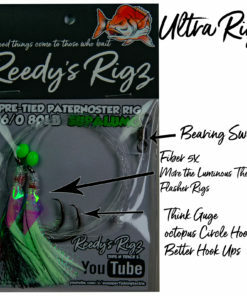 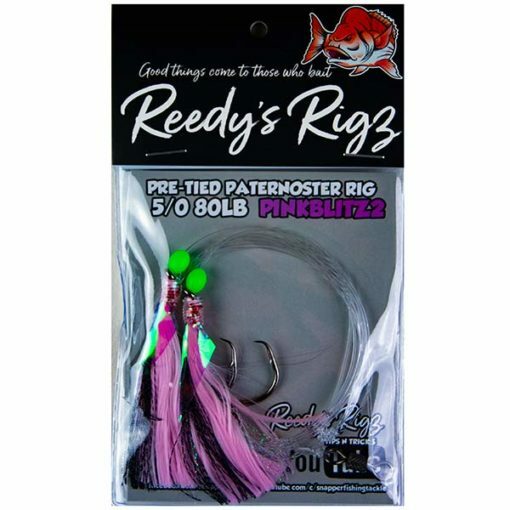 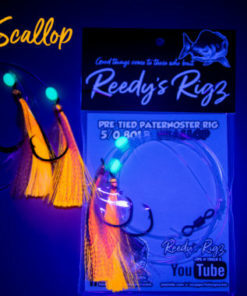 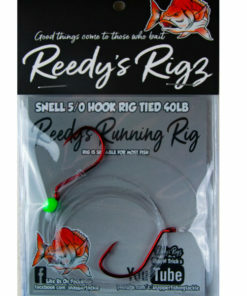 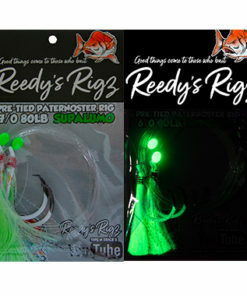 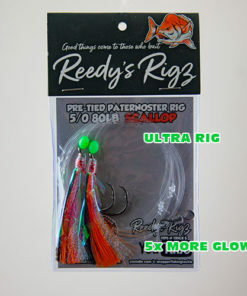 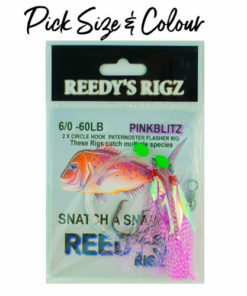 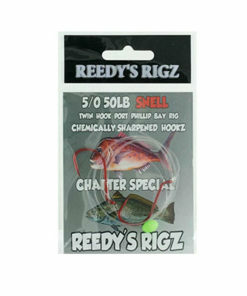 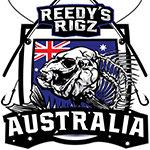 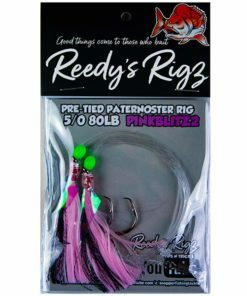 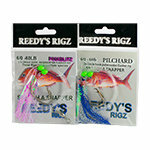 Snapper Rigs By Reedy’s Rigz The Materiel is different on a Flasher Rig then Ultra Rig. 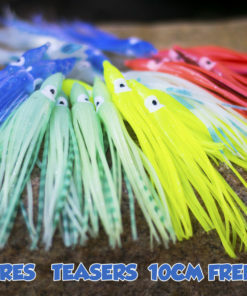 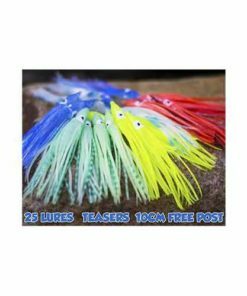 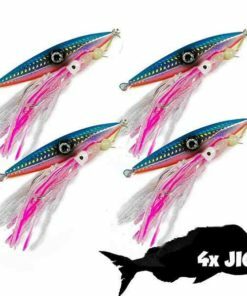 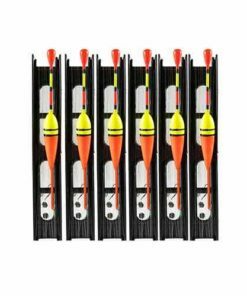 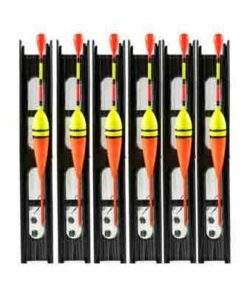 On the ultra-rig it Use new fibre that reflex’s light the same way a uv Squid jig works. 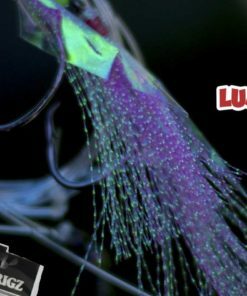 It’s is game changing . The Job of Both ball bearing and barrel swivels is to prevent line . 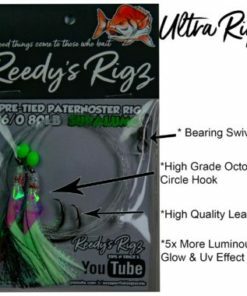 A barrel is not as good as a ball bearing swivel. The ball Rolling swivel has a little ball bearing in it & it’s much more effective at preventing line twist. 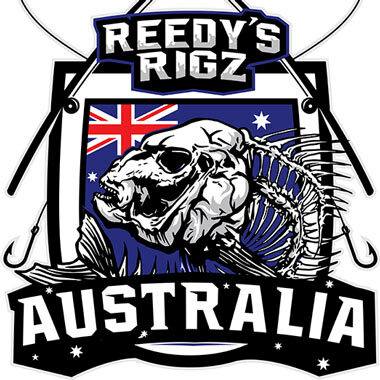 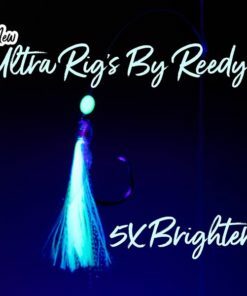 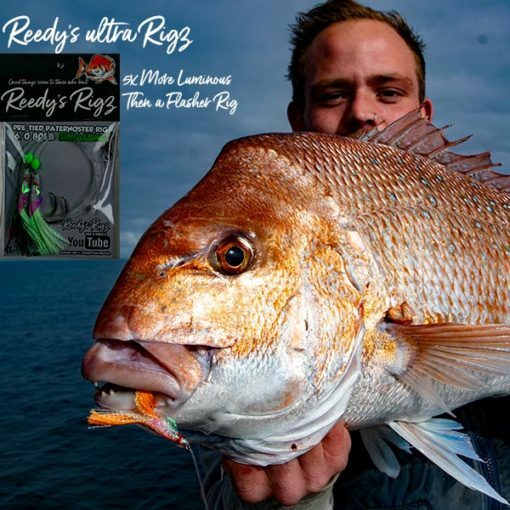 Before the Start of this years snapper season we will be showing the new Ultra rig on our YouTube channel “Reedy’s Fishing “ the rig is unreal and was our secret weapon over winter .